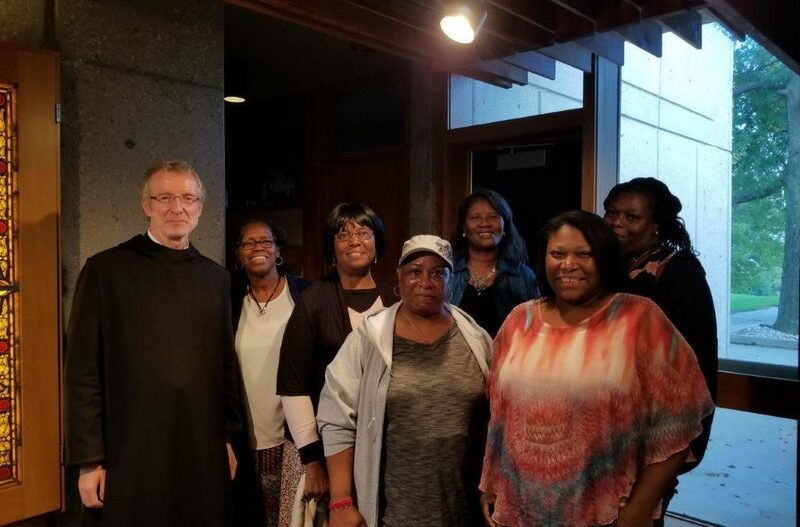 While attending the 6th Annual StandFast Women’s Conference and Retreat, it was an honor for a few of the ladies to have been able to join with Father Thomas and the Monks of the Saint Benedict Mission House, in Schuyler, Nebraska, for prayer. This was a wonderful time of worship that we will cherish forever. We were all thankful to have had this opportunity. Such beauty and variety that Our Lord has placed within the wonderful Body of Christ! Marvelous things happen when saints gather together in prayer.